You’re cordially invited to the biggest birthday bash of all-time! 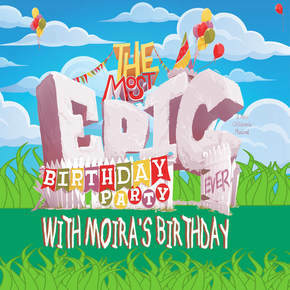 This celebration of birthday begins with a short adaptation of the picture book Moira’s Birthday , followed by the zany, new musical, The Most Epic Birthday Party Ever! The Most Epic Birthday Party Ever!